Teacher Reference Materials are the cornerstone for instruction and implementation of Unique Learning System®​ content. 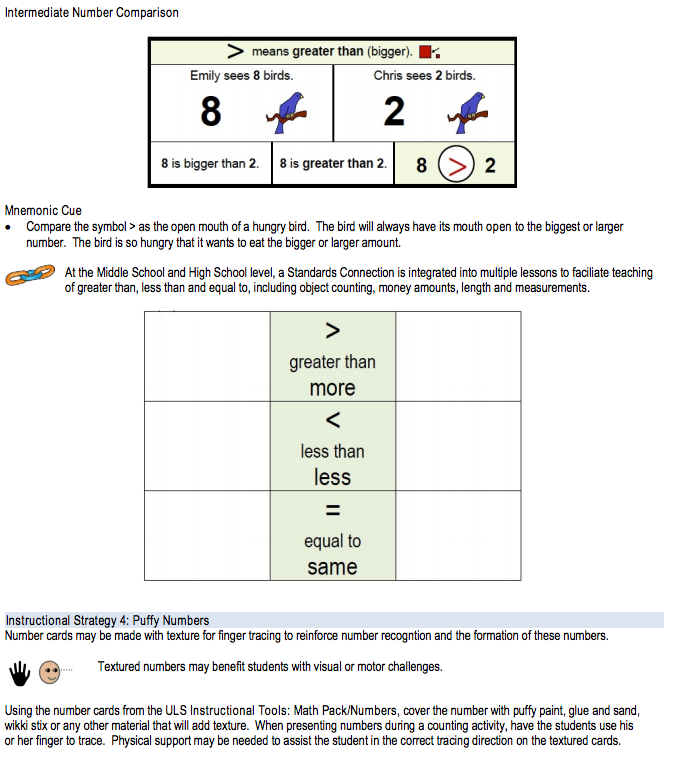 The Instructional Tools include printable templates to support the monthly instructional lessons. 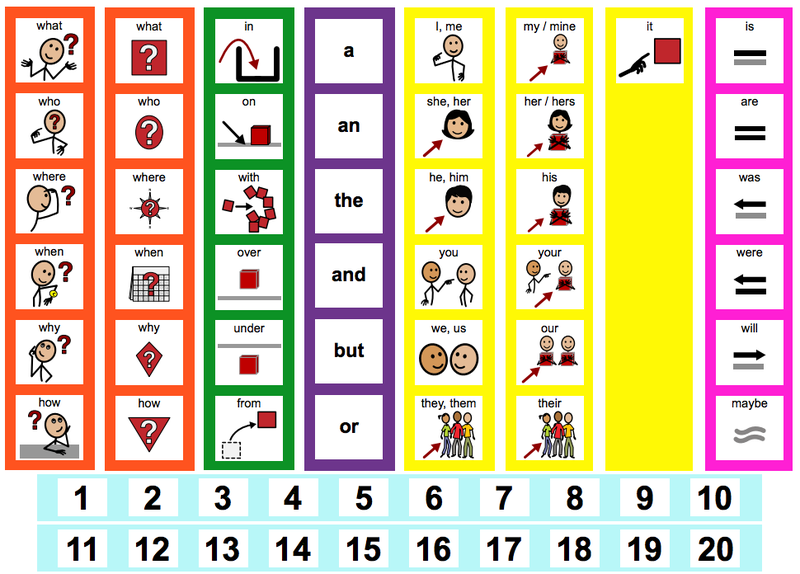 Communication Strips: Simple communication boards are provided with each story in the unit materials. These comboard strips will serve to supplement the communication boards from the stories with additional vocabulary that may be needed. Dolch / Fry Word Lists: The word lists used to create the High-Frequency word lists in Unique Learning System's monthly instructional units. Greeting Cards: Several general card templates for social communication. Letter to Parents: A great way to introduce parents to the Unique program that will be used in your classroom. This letter provides the highlights of the program in parent-friendly language. It is also available in a Spanish version. Literary Experience Book List (ELEM and INT grade bands): A list of all the supplemental books needed for the literary experience lessons for the entire school year. 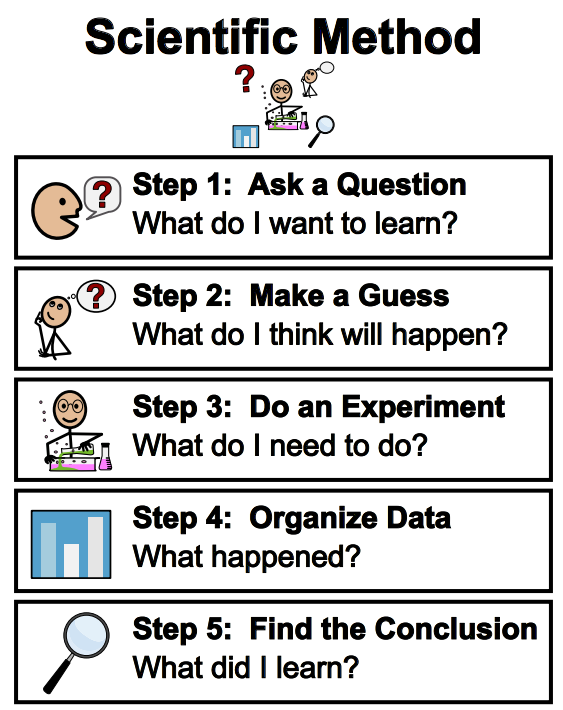 Scientific Inquiry Processes: Tools and observation forms that support the scientific method are provided in this document. Shapes, Sound Cards, Word Part Posters: Additional supports for learning are provided with shape manipulatives, sound cards which support phonemic awareness, and word part posters which support parts of speech - noun, adjective and verb recognition. State Outlines: Vector-based outlines for each of the 50 states to use in your classroom. Math Packs: Creating math activities in a manipulative format is essential for many of our learners. Math packs are included for numbers, money and time. 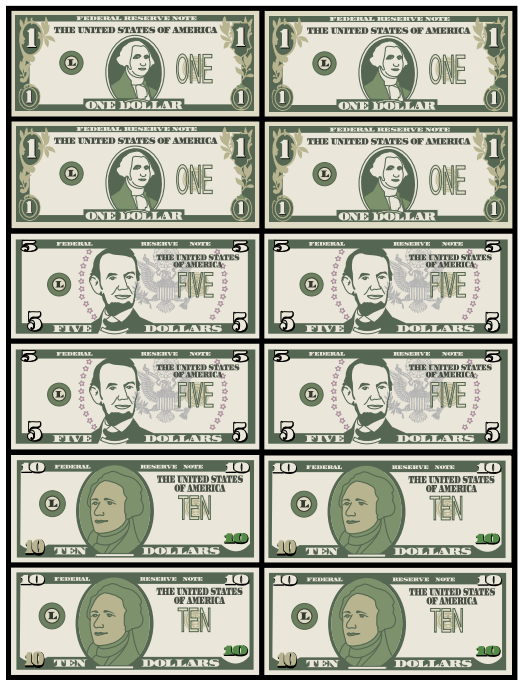 Each set has large numbers, clocks, coins and bills that can be printed and reused for any of the math activities. The Instructional Guides provide helpful references and teaching strategies for Unique Learning System. 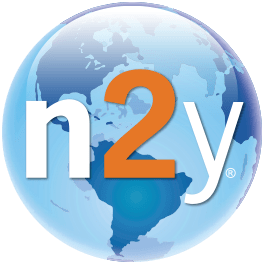 n2y Dictionary: A dictionary that provides definitions to the common language used in n2y products and in the special education classroom. Active Participation Guidelines and Scripts: The Active Participation Guide offers strategies for increasing student responses. 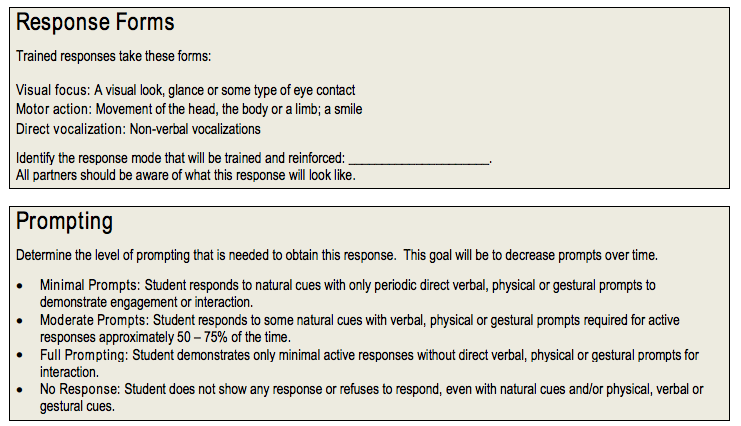 The Active Participation Scripts provide guidance on ways to present Unique lessons to students with severe/profound learning needs. AT Decision Guide: A helpful resource for collaborating on the appropriate method of assistive technology to use for an individual student. Instructional Tips: This document is a great way to become familiar with all of the lessons and materials in a grade level band. Leveled Books: This document provides an overview of the structure of the leveled books included in the Unique materials and the n2y Library. It also gives a comparison of Unique's leveled books to other popular reading programs. Mathematics: This document provides expanded information on math concepts and skills that are identified in the Common Core Standards with instructional implications for students with complex learning needs. 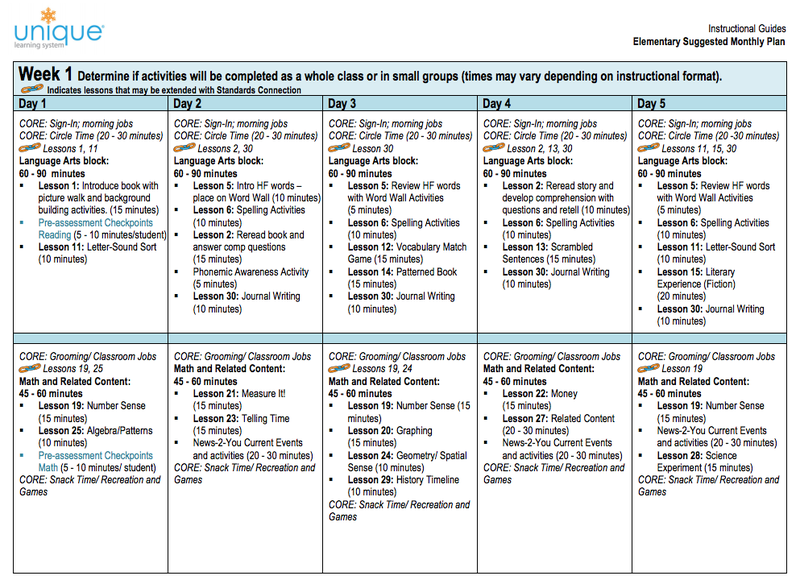 Suggested Monthly Plan: This is a suggested monthly plan for implementing lessons throughout the week and month. This document has been very popular with teachers by providing guidance with classroom planning. Phonemic Awareness, Vocabulary Guide and Word Study Guide: Unique's monthly materials provide basic reading activities in the Elementary & Intermediate grade bands. These materials, as well as those in the Middle School & High School grade bands, can be extended into various areas of reading with the Phonemic Awareness, Word Study and Vocabulary Guides. How Do I Configure Student View? How Do Unique Learning System and L3 Skills Work Together?